Hi! I’m Jeremy an undergraduate student at University of Nevada, Reno. I’m an automotive enthusiast and have been into cars since I could remember. I currently own a 1975 Datsun 280z. It’s truly a gift that I was able to get it in the condition that I did. I’ve had it since I was 15 and it has come along way since I bought it in 2005. I will definitely post updates on my car and document what I do when I do them. Besides focusing on my own personal car, I also want to focus on Innovation and Strategic developments in the automotive industry, competitive racing, automotive assembly lines, technological developments, and related business areas. The synergy and effectiveness of teams in these areas determine the success towards the goal. The engine has to be “firing on all cylinders” so to speak. I’m amazed with the technology that brilliant minds can come up with and I can’t wait to investigate deeper on how companies implement or develop them. Nissan, Honda, and Toyota are huge inspirations for me in that they create a noble company focus and surround themselves with great minds. They produce , in my opinion, some of the most interesting automotive developments in the industry while maintaing their brand image and profitability. They have a goal for their products and no matter how technology changes or advances they remain true to their intentions. Of course, they must make certain moves to stay competitive in the automotive market but that’s what makes their developments interesting. Even on the competitive racing level, each team has their own strategy and bring certain “brands” to compete and display for all to see. Discover Innovation and Strategy; have fun doing so and look good doing it! 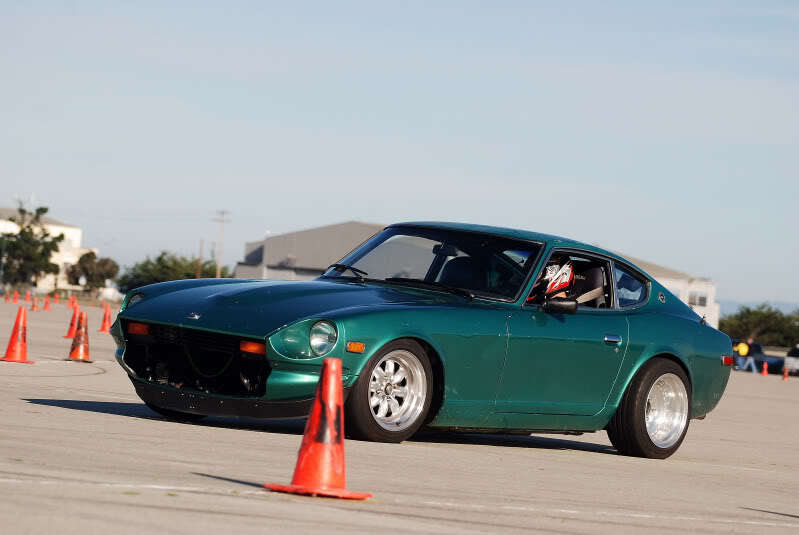 Pic: Driving my Z at an Autocross event in 2009.